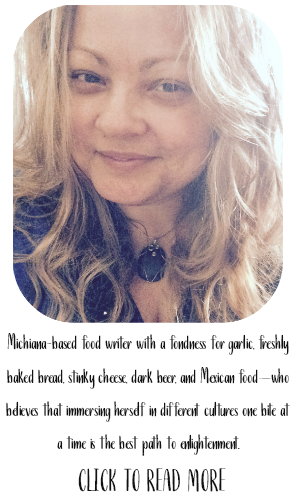 I had a lot of fun hosting this month's edition of Food 'n Flix. When I chose Krampus as our movie, I thought it might create a bit of a buzz, and lead to differing opinions. But I also couldn't wait to see the inspiration and creativity of the submissions—and they definitely did not disappoint. When I host an edition of Food 'n Flix during a month that contains a holiday, if possible, I try to choose a film that fits the theme. 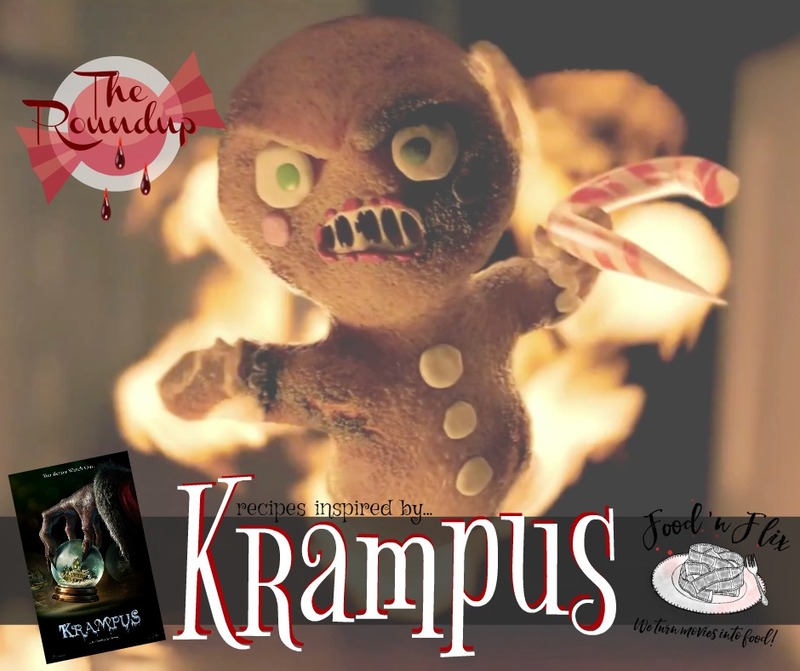 We've done a couple of classic Christmas movies in the past, like Elf, A Christmas Story, and Christmas in Connecticut, but we delved into the darker side this year with St. Nick's partner (and punisher of the naughty), Krampus. This movie featured a family that had forgotten the spirit of the season. Fighting, jealousy, bullying, and forgetting what was really important led to the young Max ripping up his letter to Santa and no longer caring. 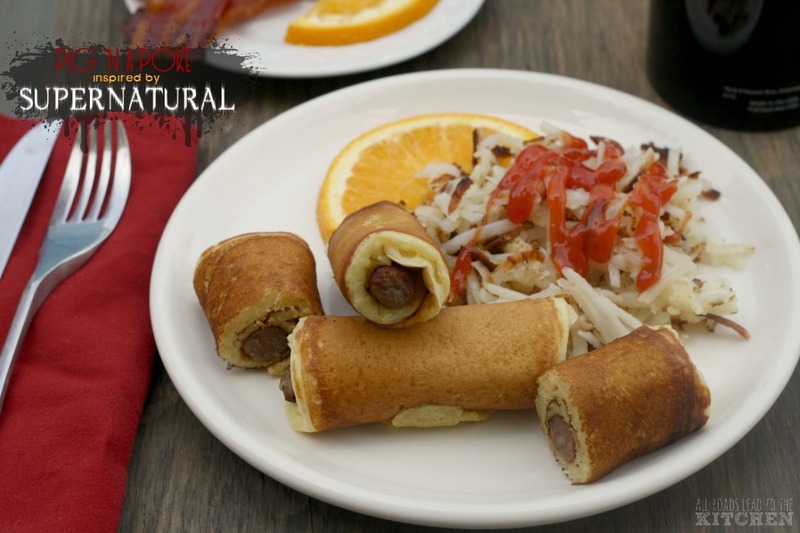 This triggered the wrath of Krampus, the horned, cloved hooved, barbed tongued, chain-dragging evil spirit, and his terrifying legion of minions. 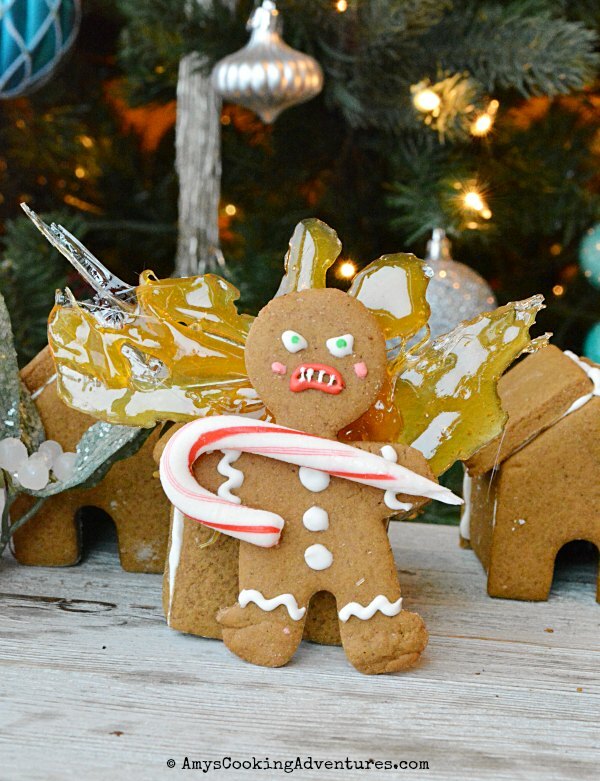 Let's kick things off with this hobbled band of misfits, Krampus' Gingy Minions from Camilla of Culinary Adventures with Camilla. 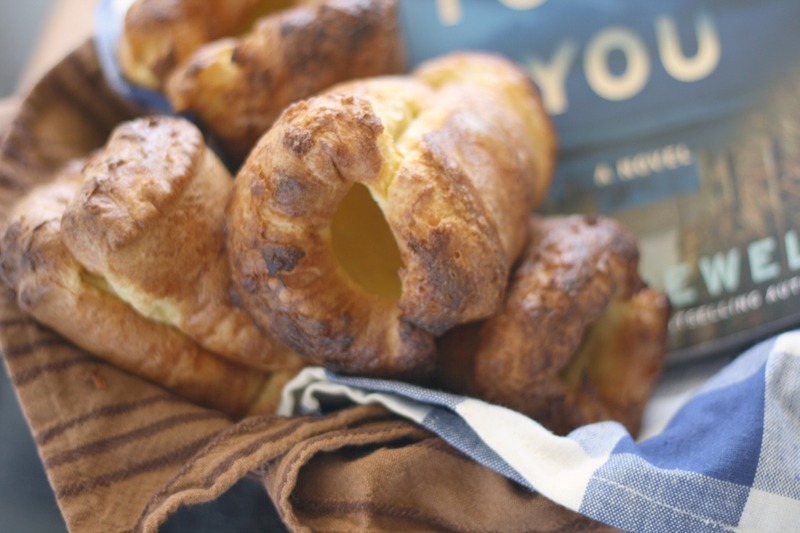 Not only are they fun, they sound delicious and they're gluten free! 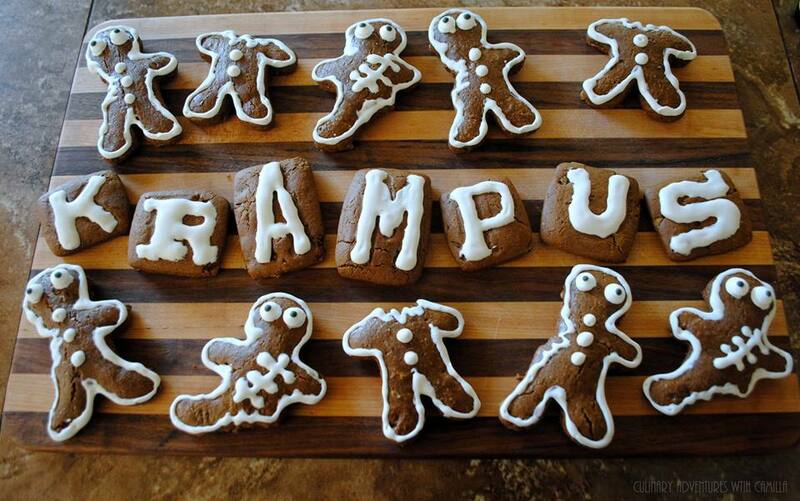 Even though Amy from Amy's Cooking Adventures isn't a fan of scary movies, she does love making gingerbread men, like these Krampus Gingerbread Men, at Christmas time...and what better inspiration than Krampus' evil army? 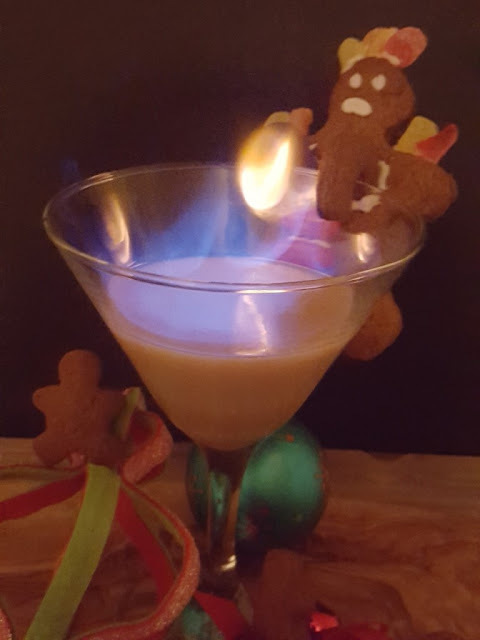 I love that Ali from Fix Me a Little Lunch made this awesome Flaming Gingerbread Martini, because I had a similar idea, but didn't wind up making it. How fun is that gingerbread man hanging off the side of the glass! 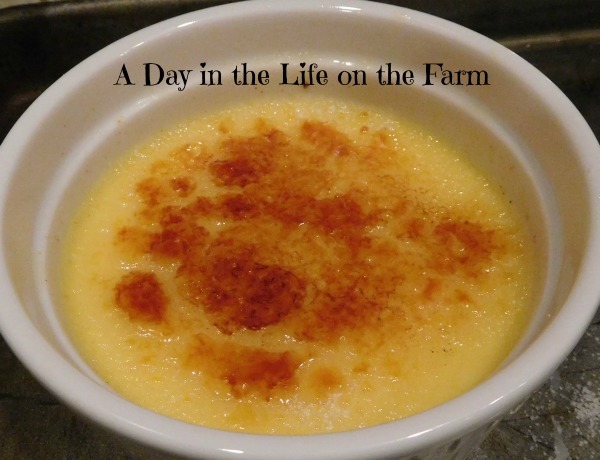 Inspired by the scene where Sarah walks into the dining room proudly carrying her tray of Crème Brûlée, only to find the room in a state of chaos and decidedly un-Christmas spirit, this is Wendy from A Day in the Life on the Farm's offering for the month. 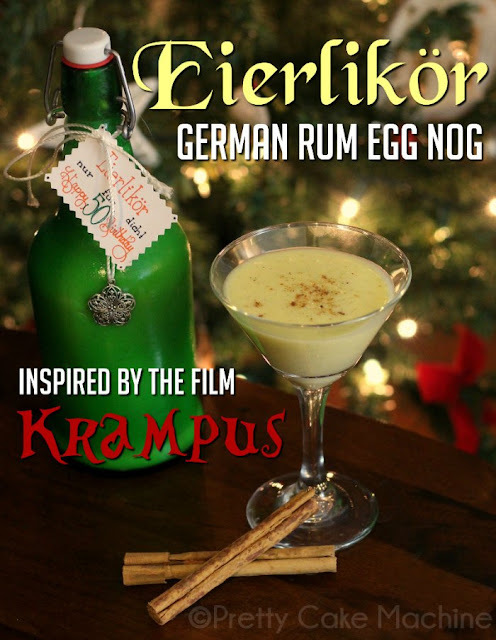 Katharina from Pretty Cake Machine celebrates her heritage (and that of the family in Krampus) by making Eierlikör, which is "like German egg nog, except it makes egg nog look like tap water. 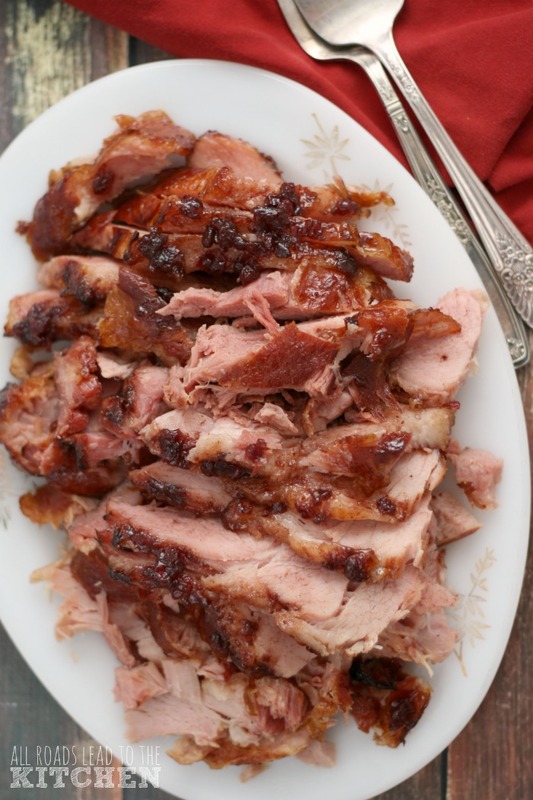 It’s extra thick, very alcoholic and absurdly rich." 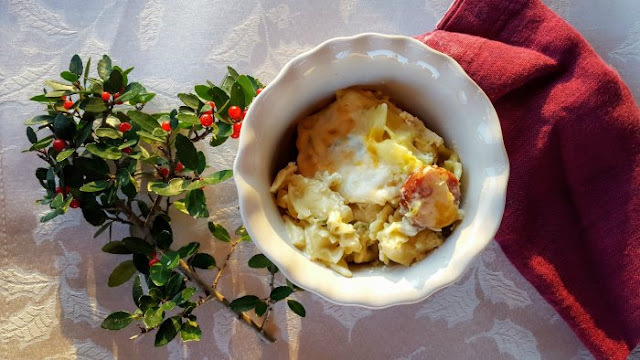 Sarah's sister Linda offers up a casserole dish filled with Macaroni 'n Cheese with Hotdogs for the Christmas table. Debra of Eliot's Eats took that as inspiration and fancied it up with her Green Chile Mac ‘n Cheese with Andouille Sausage! 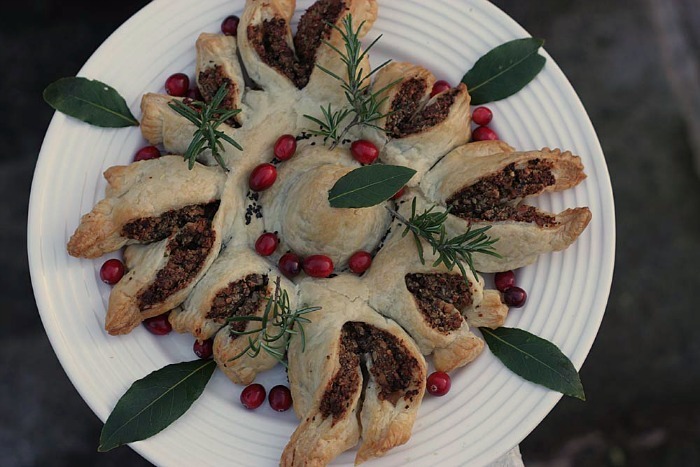 Pulling her inspiration from a wreath in the opening scene, Shaheen from A2K A Seasonal Veg Table made this beautiful Vegan Chestnut Mushroom Christmas Pull Apart Wreath! 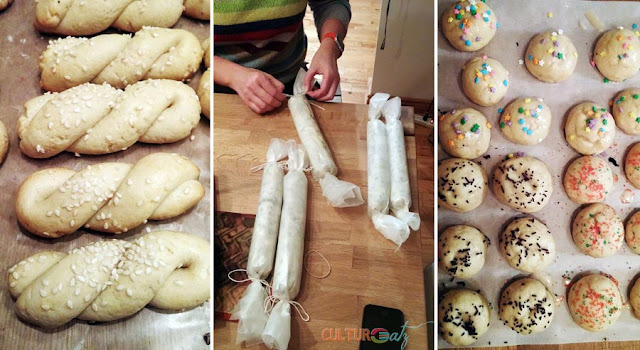 Evelyne from CulturEatz made a whole table-full of Christmas cookies just like Omi, including these Greek Koulourakia and Italian Ricotta Cookies. 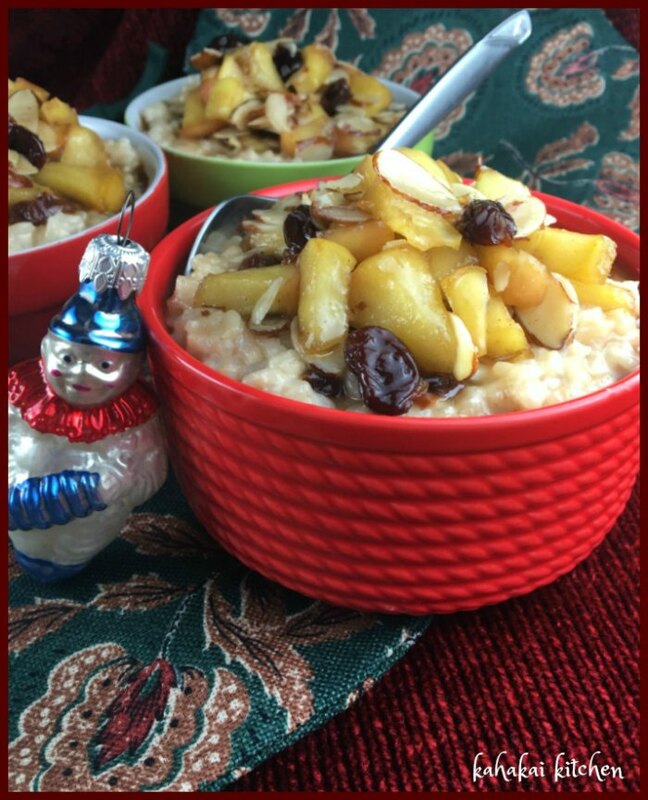 Deb from Kahakai Kitchen made Reisbrei (Rice Pudding) with Cinnamon-Apple Compote, German comfort food inspired by Omi and Krampus, because if Krampus is coming you are going to want a little comfort! 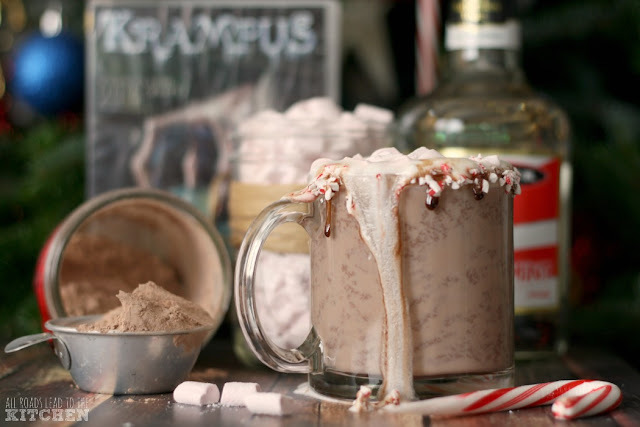 And finally, I took inspiration from Omi's hot chocolate and Aunt Dorothy's Peppermint Schnapps to come up with this boozy hot chocolate topped with Homemade Peppermint Mini Marshmallows! 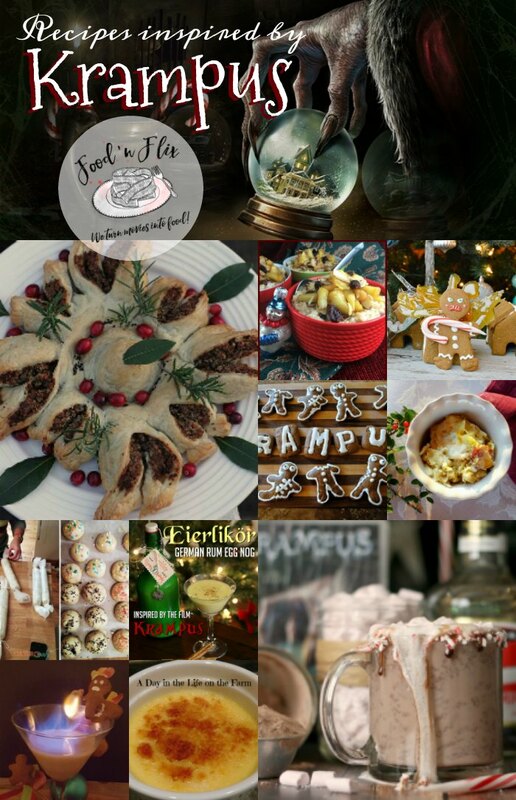 Thanks to all of this month's Food 'n Flix club members who created recipes inspired by Krampus! 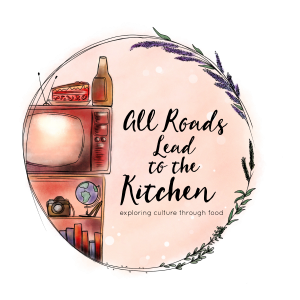 Join us in January as we head into the kitchen with one of my favorite rom-coms, French Kiss. 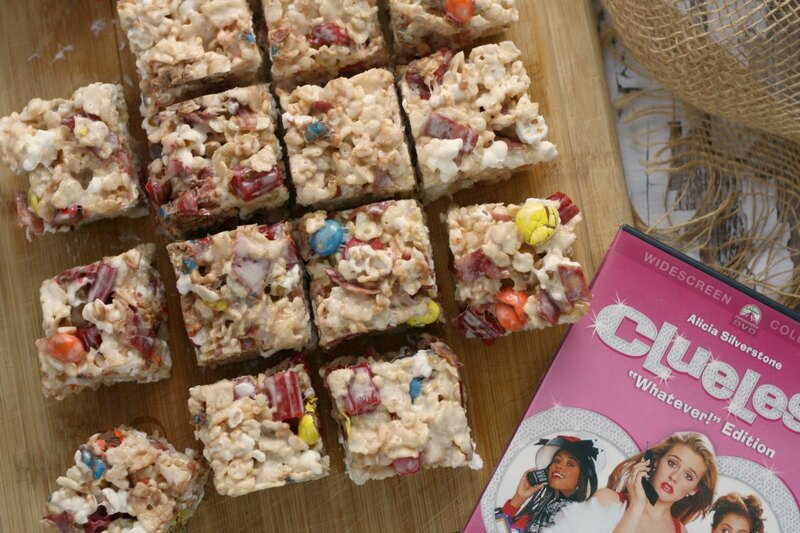 I'll be hosting over at home base, aka the Food 'n Flix Club site!